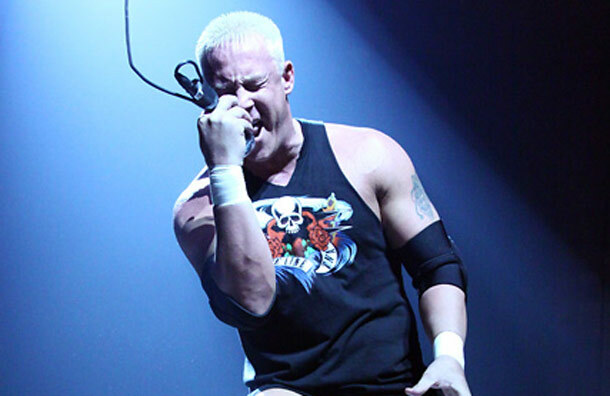 UPDATE 3: Wrestlezone has more details on Ken Anderson being fired from TNA for a failed drug test. A source in the company indicated that Anderson tested positive for pills that he didn’t have a prescription for. UPDATE 2: Ken Anderson’s TNA release was reportedly due to a failed drug test. Pro Wrestling Sheet reports that according to multiple sources backstage at the company, Anderson was given a drug test after he appeared to be under the influence during a match with Eric Young at the Bethlehem, Pennsylvania tapings. The site reports that Anderson looked so bad that the match was cut from the January 19th show that it was supposed to air during. Anderson was forced to take an immediate drug test after the match and sent home. UPDATE: Pwinsider.com now reports that Anderson was released from his TNA deal for behavior that took place during the Bethlehem, PA tapings. ORIGINAL: At a recent independent event, Mr. Anderson revealed that he is no longer a member of the TNA roster. He’s been working for the promotion off and on since 2010. He’s still on the roster page, but so is Austin Aries even after he appeared on NXT. Pwinsider.com confirms that Anderson departed the company prior to the UK tour. Hated his gimmick as Mr Kennedy and didn’t like him as Mr Anderson. He is way over rated in my opinion.